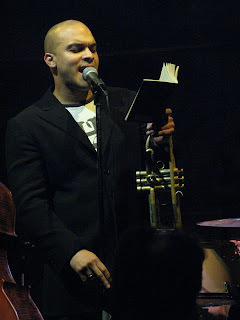 Three nights with Irvin Mayfield (shown here reading Pablo Neruda), guerrilla tap dancers, crazy stuff at the Walker, a Dakota late night, a list for Kurt Elling fans, another hat or two, and pots. Thanks, Don. I'll include it in my Irvin post.